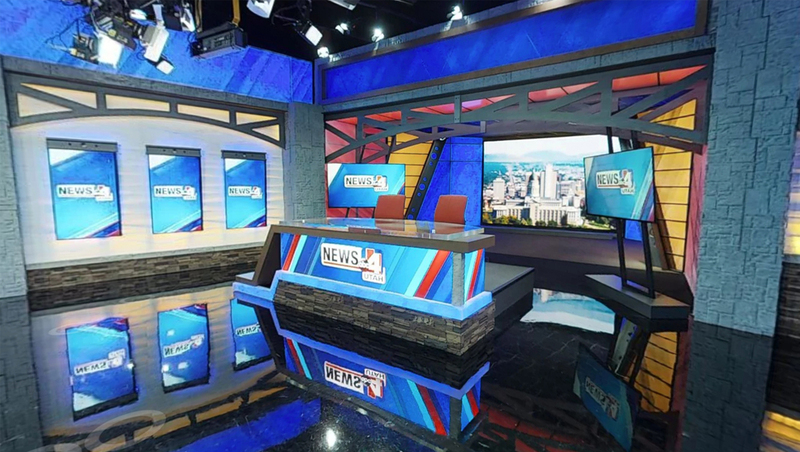 KTVX, the ABC affiliate in Salt Lake City has debuted a new set that emphasizes structural elements along with a new graphics package. The new set utilizes right angles and strong and sturdy walls to create a solid look with faux metal and stone finishes that boast an eclectic blend of textures. The anchor desk, situated near one corner of the space, features a solid stone base with angled trim and branded wrapper. The background behind the anchor desk, meanwhile, blends perspective and bold colors to create a unique take on the traditional cityscape background. 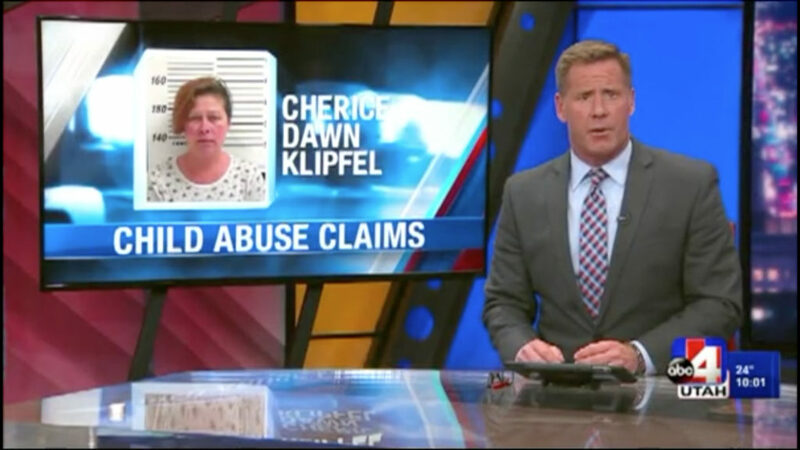 While the Salt Lake skyline is still featured prominently behind the anchor two shot, the image is inset with colorful backlit panels and flanked by two flat screen OTS elements on either side. The backlit panels are positioned at different angles and mounted on the ceiling and side walls, along with two slanted faux metal beams with circular punch outs. Above is a gently curved arc of trusswork, a look that is continued on the wall camera left of the anchor desk above three vertically mounted video panels capped with a small faux metal beam and surrounded by a wavy wall covering. The space is also delineated using strong vertical faux stone columns, with additional stonework in the set’s base walls. Digital Video Group provided and installed the Philips video display technology for the set along with new studio cameras from Hitachi.